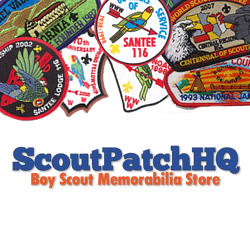 Scout Patch Collectors » » What’s with all the 2011 World Scout Jamboree border colors? What’s with all the 2011 World Scout Jamboree border colors? This summer I had the pleasure of attending the World Scout Jamboree in Sweden. Each person received two Jamboree badges that had a light grey border. 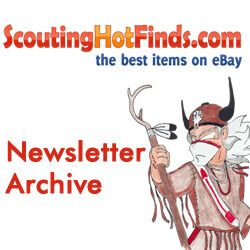 Within a week after the close of the Jamboree, a special orange border “King’s badge” showed up on eBay. 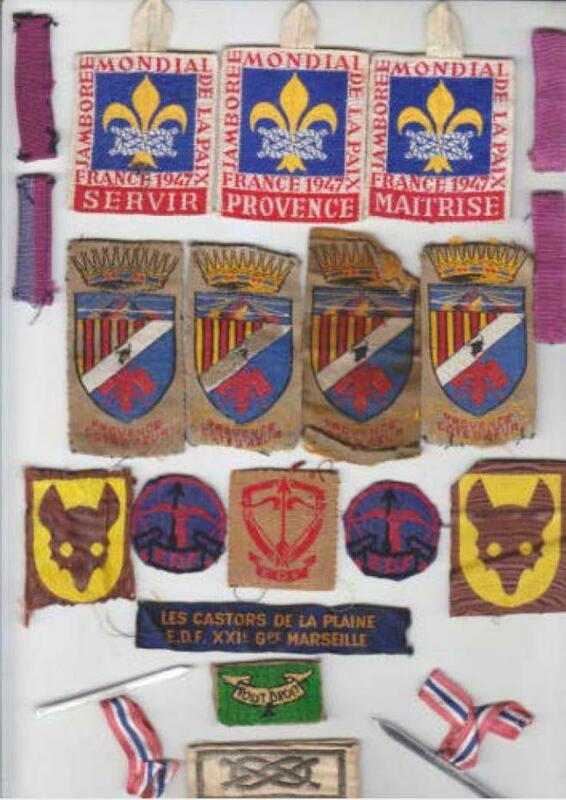 These patches were supposedly given out by the King of Sweden to Scouts that he met when he visited the Jamboree site. I have talked to my Swedish contacts on the Jamboree Planning Team, and they have asked around, but nobody seems to know anything about those patches. I inquired on Patch-L and two people told me they met people who received these patches from the King, but neither actually saw the patch or could provide a scan. By a stroke of fortune, one of the Scouts in my council’s contingent actually got to meet the King. He was given an iPad, but no patch. At the same time the orange border patches started to appear, an American seller offered a brown border Jamboree badge. Unfortunately I didn’t track eBay as closely as Jason does because I didn’t save the seller or price information, but several were offered by different sellers from the US. By late August, the World Jamboree Collector Society on Facebook was declaring both of these patches fake. In addition to minor differences on the front, the original badge has a black back whereas the orange and brown border patches have white backs. Nevertheless, these orange border King’s badges continue to appear and sell at quite handsome prices. This badge was only given out to people who worked at the jamboree site for a long time! This makes this badge very rare as it was only given out to a limited number of people! The Badge looks almost the same as the official particiant badge but with a gold string attached to a gold ring, and also the border of the badge is in gold instead of silver. Two of these have been sold so far from a seller in Sweden. Not to be left out, an American version has appeared with all the hallmarks of the orange border patch. It also doesn’t have the grommet of the Swedish version. Nine hundred dollars?! 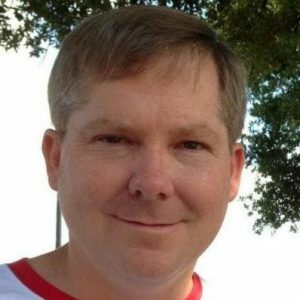 Is international collecting the Wild, Wild West with no rules but caveat emptor? If anybody has any solid info on any of these badges, I’d love to hear it! 20,737.00 Euros….Is that A Lot of Money? So it sounds like the orange border ones are real. Are the yellow border ones real? I was an American on IST and it was one of the greatest experiences I’ve ever had! Can anyone shed some light on theCAMP-IN-CAMP PATCH/badge? It looks very similar to the regular participant badge but with a TENT in the top-left corner. I know they were for Scouts who participated in off-site join-in-jamboree camps. One very young Swedish Scout came up to me at the closing ceremony and wanted to trade his blue CAMP-IN-CAMP badge. It was the only badge that he had. I told him very sincerely that he had a very valuable badge and that he should not trade it to anyone. I know there are 100s but I have seen more orange border patches that the blue CAMP-IN-CAMP patch. I was an IST on the reception team at the main entrance. As you may know there was a different wrist band for each day AND a white band with clouds on it for very young children. The left over arm bands were thrown into the trash each day. I have two complete sets of the armbands for trade. For one of the CAMP-IN-CAMP badges. No one has talked about the Camp-In-Camp WJ badge that looks almost Iike the participant’s badge but that it has a tent in the corner. Some, not all, Camp-In-Camp participants received one badge. During one of the arena shows, a young Swedish Scout (looked more like a Cub) came up to me and asked me to trade an American patch for his Camp-in-Camp badge. He was a visitor to the jamboree and was given only one of the Camp-In-Camp badges. I told him that his patch was very special and that he should keep it as his Jamboree souvenir. I don’t think he understood what I had explained because I saw him go to another US scout and traded the patch. Can anyone give more information on the Camp-In-Camp badge? I have only seen two on eBay back in 2011. I am still very interested in acquiring one. I was part of the welcoming and visitor team. As such I have several (2-3) complete sets of the Day visitor arm bands, plus the blue cloud armband for children under the age of four. My email is. JHCostolo@att.net. Let me hear from you if I can help me out.